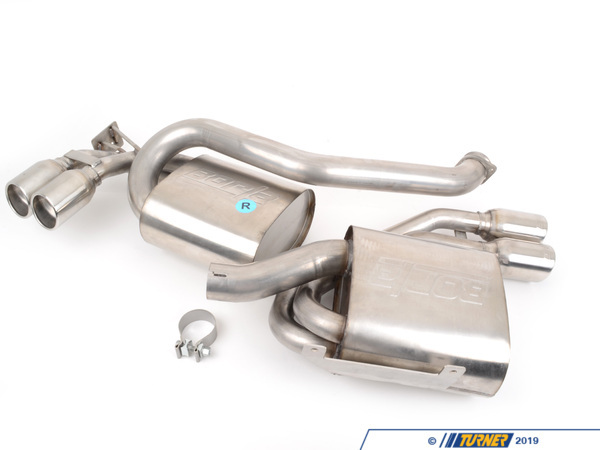 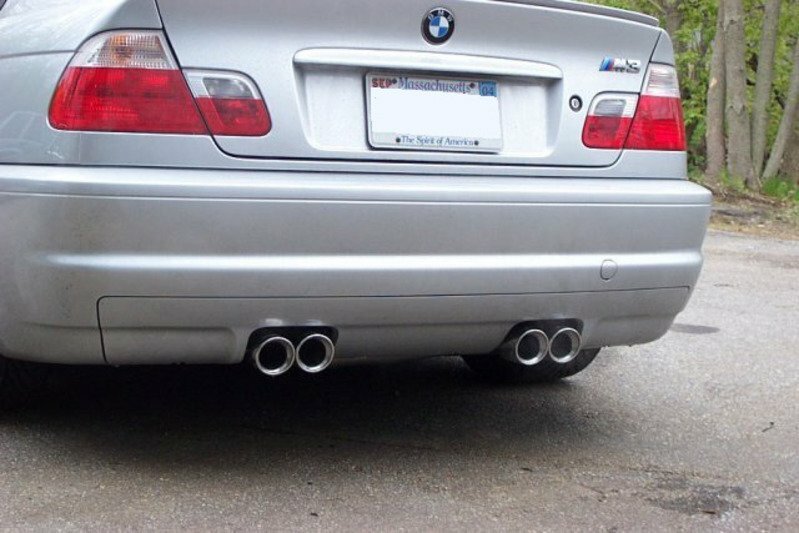 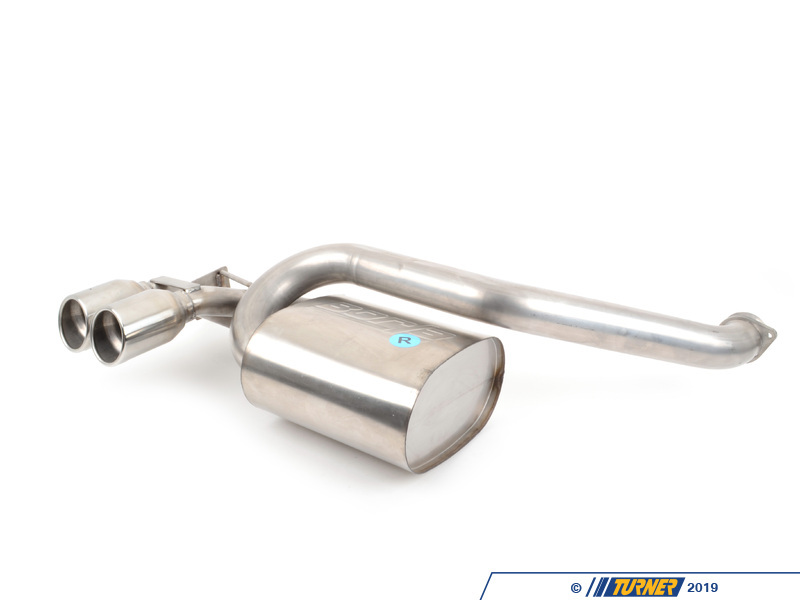 These Borla mufflers will give your M3 a bit more growl and presence. 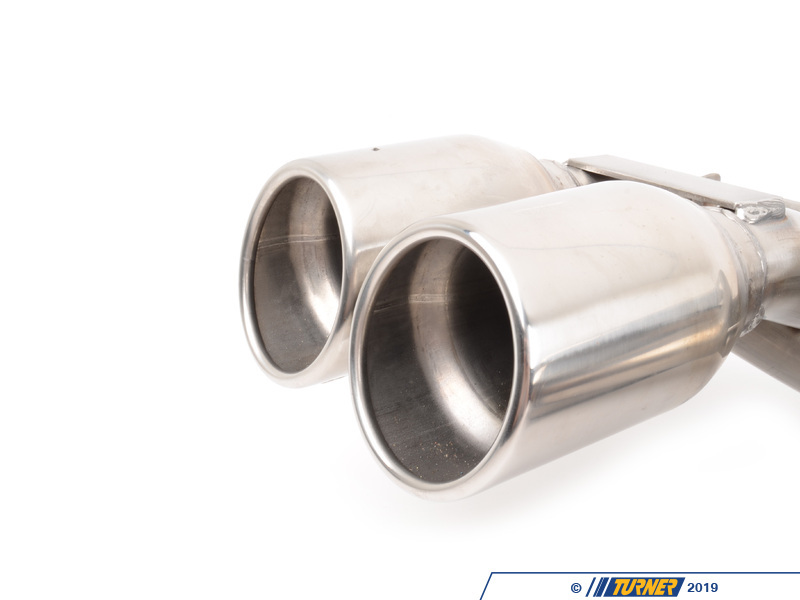 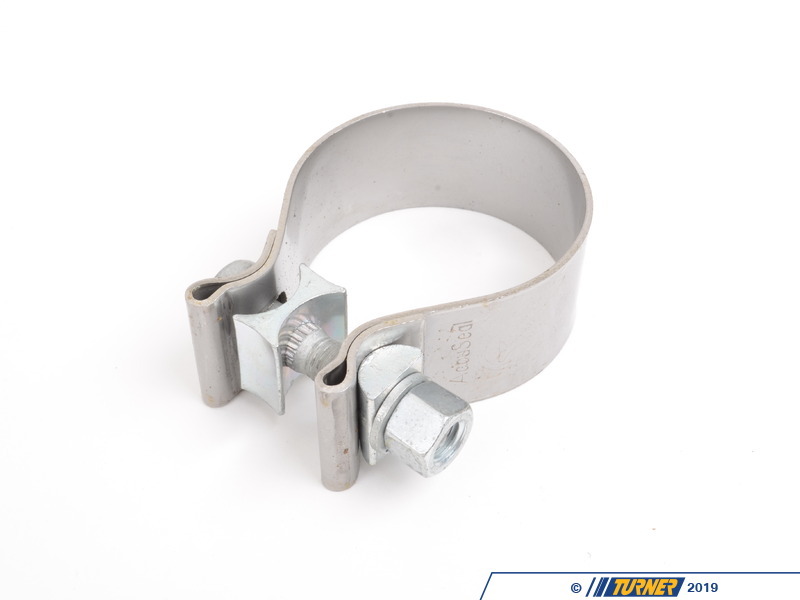 These are stainless steel, high-flow mufflers that bolt on to the stock center section (or Borla midpipe). 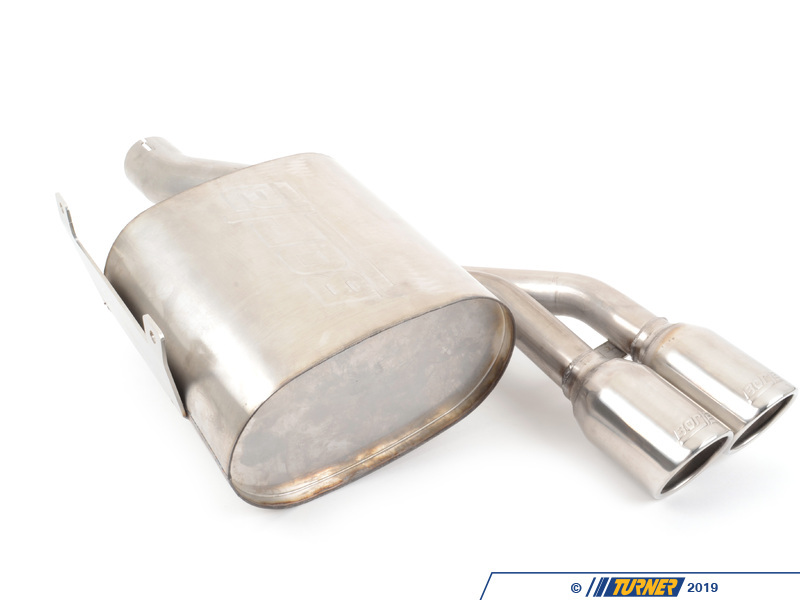 The stock M3 muffler is very large and softens the S54's exhaust note quite a bit. 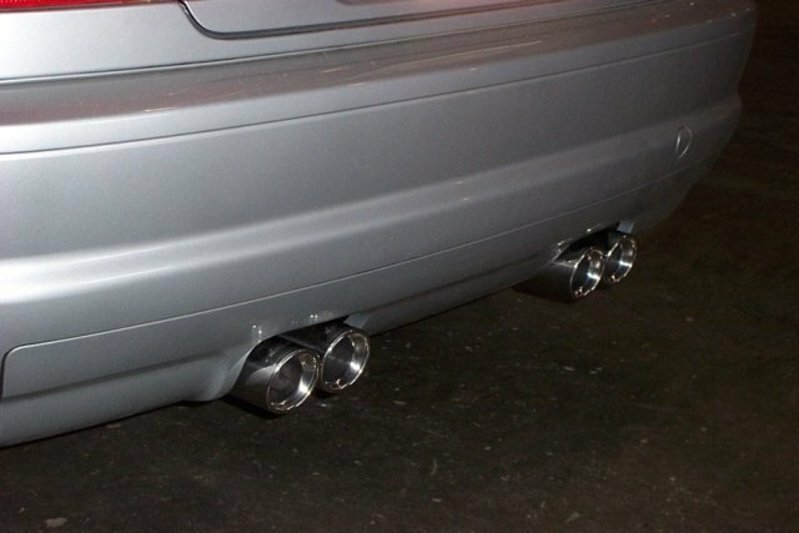 The Borla mufflers are much smaller and lighter with much-improved flow that increases horsepower and performance. 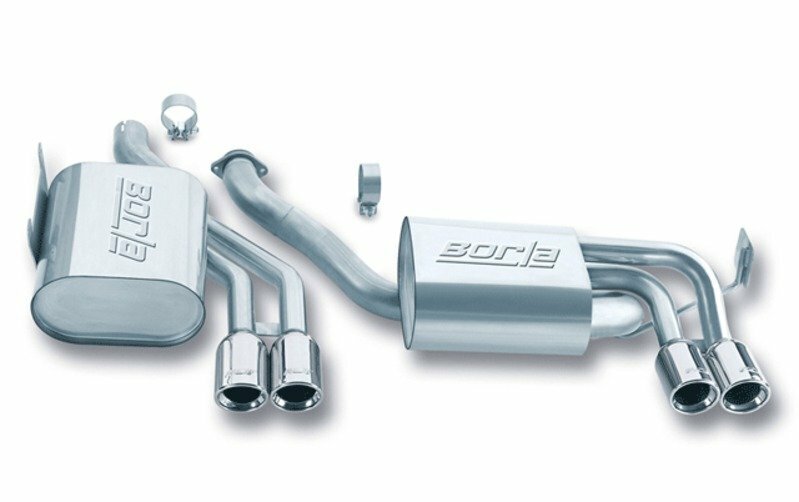 Borla compared their mufflers with a common aftermarket brand and found their's flowed 10% better (click here for Borla comparison). 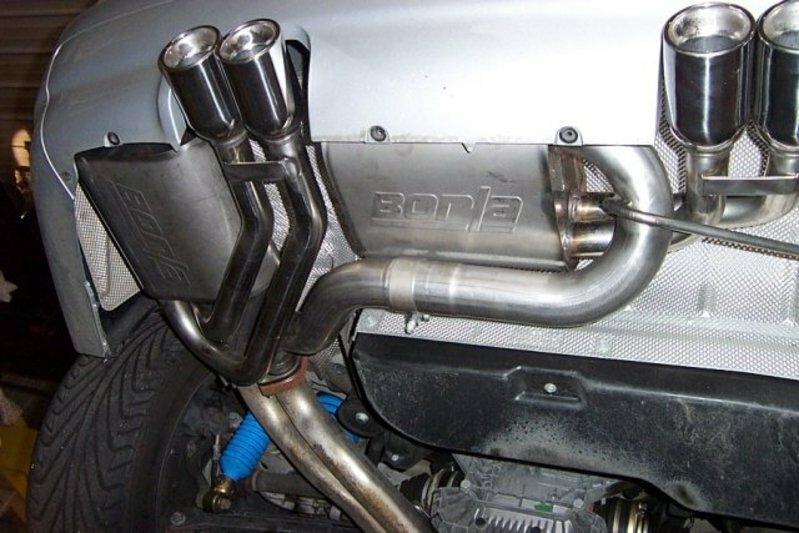 The Borla system saves over 20lbs from the stock muffler.